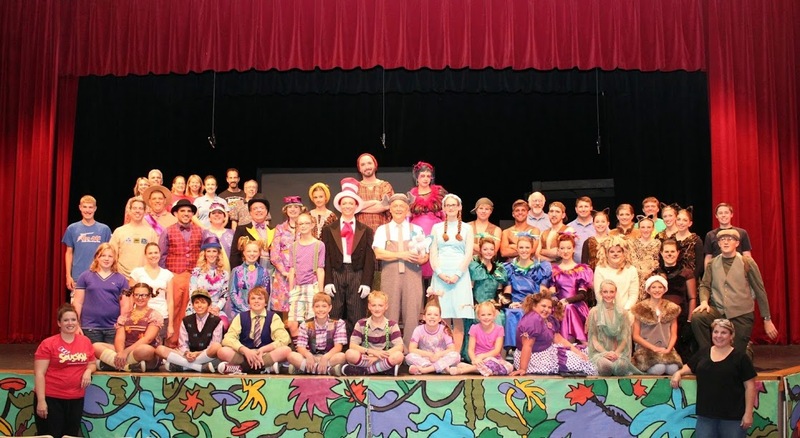 Union Street Players, Pella’s award-winning community theatre, has closed the curtain on another successful show. Under the direction of Kim Beyer and the music direction of Brystal Hopkins, Seussical the Musical brought the beloved works of Dr. Seuss to the stage in a musical extravaganza highlighted by Lori Vande Zande’s incredible costumes. Kudos to the stellar cast and crew which included stalwart USP Vets as well as some incredibly talented newbies! Thu July 31st at 7:00 p.m.
Fri Aug 1st at 7:00 p.m. Sat Aug 2nd at 7:00 p.m.
Sun Aug 3rd at 2:00 p.m.
All performances are on the stage of the Joan Kuyper Farver Auditorium in the Pella Community Center located at 712 Union Street, Pella, Iowa. We have no physical box office. To purchase tickets, visit our on-line ticket service by clicking here. You may choose the seats you want for each performance and purchase tickets using Visa/Mastercard/Discover. If you do not have a credit card or are unable to order on-line, you may call our virtual box office (641.204.1094) and we will work with you to make alternate arrangements. You may contact us with questions by calling our virtual box office at 641.204.1094 or by emailing us at info@unionstreetplayers.com. USP does not reserve/hold tickets without payment! Tickets for “Seussical the Musical” NOW ON SALE! Tickets for Union Street Players’ production of Seussical the Musical are now on sale. 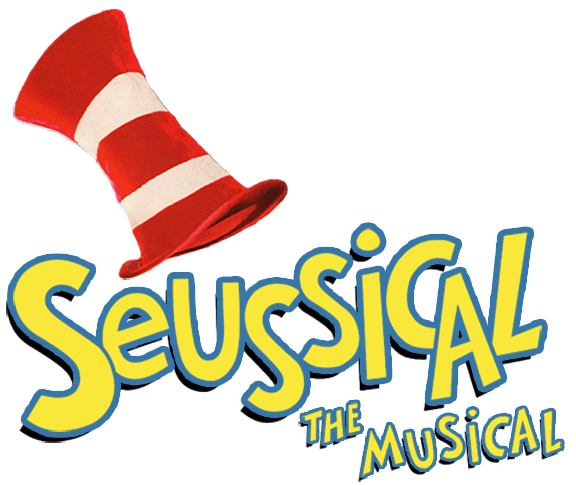 Seussical is a family friendly musical based on the stories of Dr. Seuss and appropriate for all audiences. Fri July 25th at 7:00 p.m. Sat July 26th at 7:00 p.m.
Monday April 21 6:30-9:00 p.m.
Perusal scripts available at the Pella Public Library. Production dates will be July 25-26; July 31 – August 3. There are lead/solo roles for 8 men, 7 women, and 2 kids. Ensemble roles for men, women and kids ages 8 – 88!! We will also have a specialized dance troupe (dance experience strongly suggested). Please come to auditions ready to show us any unusual or extraordinary talents you might have (riding unicycle, pointe dancing, tap dancing, juggling, flips, magic tricks, double jointedness, accents…) Please also bring along your calendar of summer commitments, vacations and camps to share with us as we plan rehearsals. Scripts will be available for perusal (as soon as they arrive from the publisher) at the Pella Public Library circulation desk. If you just can’t wait to explore this funny, heartfelt, full-of-imagination musical, you can also find a great deal out about characters and story here . We will have a read-through of the script after casting has been announced but then will not begin regular rehearsals until after Memorial Day. Rehearsals will run through July and, again the production dates will be July 25-26; July 31 – August 3. We are also looking for people to join our production team. Please contact us if you are interested in costuming or sewing crew, set construction, pit orchestra, hair and make up, choreography, etc. If you have ANY questions, please feel free to contact the director, Kim Beyer, at kim.beyer@comcast.net or the producer, Brystal Hopkins, at brystalhopkins@gmail.com. We look forward to seeing you at auditions!! !